It’s rained (or we were told it would rain) on every single Sunday in August this year. It’s actually been the wettest August in history in New York. 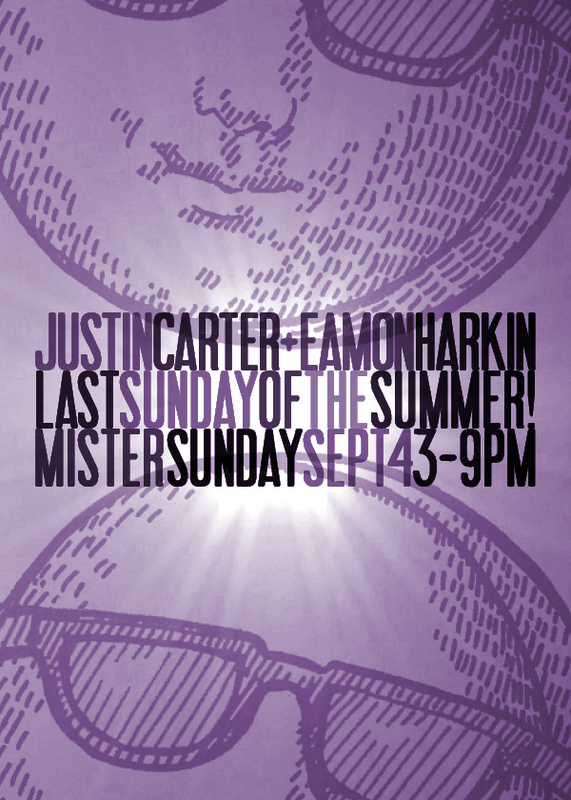 Pretty bad luck for us all who’ve gotten used to Mister Sunday at Gowanus Grove as a highlight of the summer (although we still made the most of it). Well, that’s all behind us now, and we intend to go out with a bang. Justin and I will take things home at the Grove next Sunday for the closing party, playing back-to-back from 3pm to 9pm. 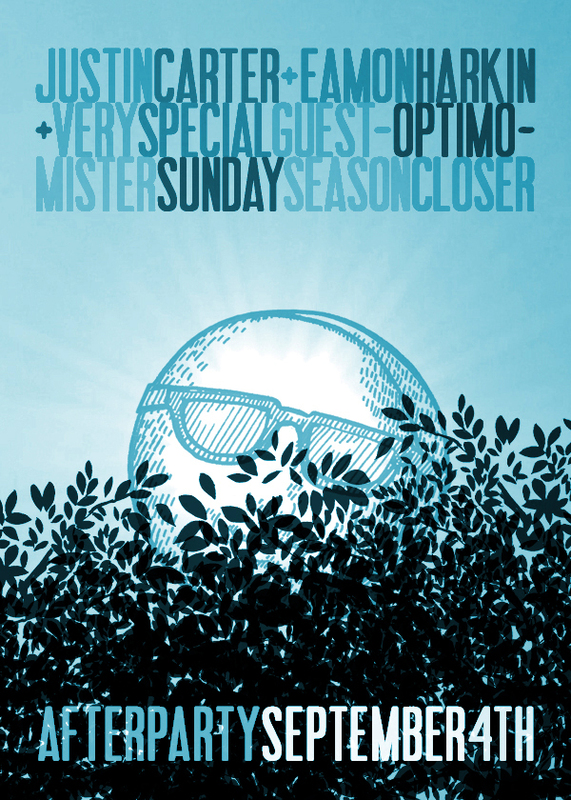 Surely it can only be a bright and sunny day… And then, once the sun sets, we’ll have an afterparty with Optimo, the gents who should have played with us on the weekend just past, before Miss Irene paid a visit. We’ll have details of the afterparty up on the site this week. For now, rest up, take it easy, and plan for a big day and special night from the Mister next Sunday.